East Falls is somewhat walkable, has minimal bike infrastructure and has good transit options, according to Walk Score's rating system. So what does the low-end pricing on a rental in East Falls look like these days--and what might you get for your money? First, there's this 1-bedroom, 1-bathroom apartment, located at 2807 W Queen Lane, listed for $950 / month. In the unit, anticipate air conditioning, hardwood flooring, high ceilings, an oven and ample closet space. The building offers concierge service, on-site management and storage space. Pets are negotiable. 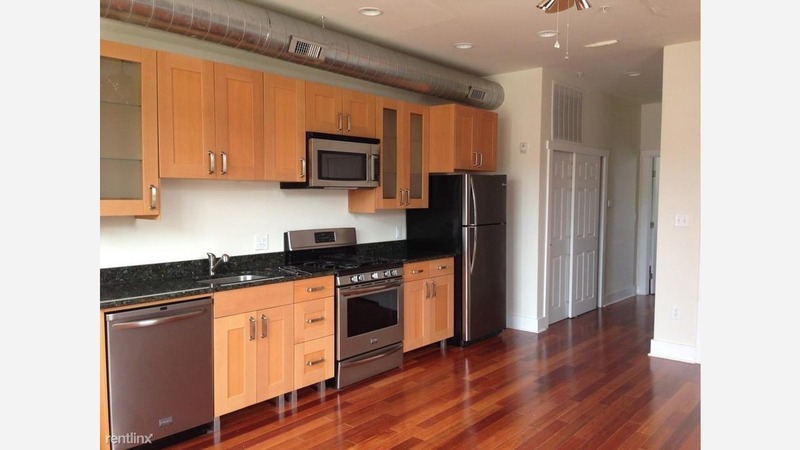 Next, here's a 1-bedroom, 1-bathroom apartment at 5450 Wissahickon Ave., listed for $1,203 / month. In the unit, expect air conditioning, hardwood flooring, stainless steel appliances, a bar area that seats three and ample natural lighting. Amenities offered in the building include a swimming pool, a fitness center and a business center. Animals are not welcome. Then there's this apartment with one bedroom and one bathroom at 3500 Sunnyside Ave., listed at $1,350 / month. In the unit, you're promised a dishwasher, air conditioning, in-unit laundry, hardwood floors, a ceiling fan, exposed brick, stainless steel appliances and granite countertops. When it comes to building amenities, expect assigned parking. Hairball alert: cats are permitted.